On July 19, representatives from our 19 member agencies convened to plan the release Home, Together, the new federal strategic plan to prevent and end homelessness, to hear from representatives from communities in Mississippi and Alaska about the challenges and opportunities to end homelessness in rural areas, and to discuss federal strategies to address those challenges. Council members provided input on the planned release of Home, Together. Home, Together builds upon strategies taken over multiple administrations and reflects the input and perspectives from hundreds of people across the country, including staff from local, state, and national agencies and organizations, community volunteers, advocates, people with past and current experiences of homelessness, and many others. The Plan was published immediately following the Council meeting and will be supplemented by additional tools and resources for communities in the following months. The Council also heard from federal and local leaders regarding their progress, challenges, and recommendations for federal actions to better support rural communities in their efforts to prevent and end homelessness. 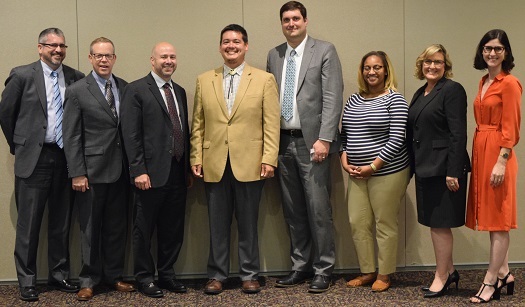 USICH and its member agencies formed an Interagency Working Group on Ending Homelessness in Rural Communities after hosting a convening of 22 rural communities last fall, which highlighted the need for specific strategies to address those communities’ unique strengths and challenges. Working group co-chairs Lindsay Knotts from USICH and William Snow from HUD presented Council members with initial recommendations on a proposed set of federal strategies to better support rural communities. The Council approved those strategies and charged the Working Group with their implementation. The Council also heard presentations from community experts in rural communities in Alaska and Mississippi. Brian Wilson, the executive director of the Alaska Coalition on Housing and Homelessness, and Christopher Kolerok, the president and CEO of the Bering Straits Regional Housing Authority, presented stark data on the severe overcrowding and the critical lack of housing in rural villages in Alaska, and highlighted challenges related to lack of transportation options, geographic distances between crisis service programs, and the high costs of development activities within the state, especially due to the costs of bringing in materials. Mary Simons, the executive director and CEO of the Open Doors Homeless Coalition, and Jaszmen Hawthorne, transition navigator for the Mississippi Department of Child Protection Services, presented on the need for more emergency shelter, housing, and substance misuse treatment resources, among other gaps, in the Gulfport, MS, area, and also highlighted how their community’s success in ending Veteran homelessness has provided them with momentum and strategies to pursue the end of homelessness for other populations as well..
Read the Expert Brief from Mississippi. Read the Expert Brief from Alaska.